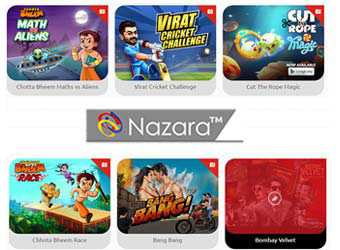 Mobile gaming developer and publisher Nazara Technologies Pvt Ltd has picked up 26 per cent stake in London-based mobile gaming studio Mastermind Sports Ltd. Mastermind has just launched its first game CricBet, a real-time prediction game, which allows fans to bet on the outcome of live cricket matches using virtual currency. "Our focus is the second-screen experience. We aim to use our sports and technology insights to create mobile games that engage fans during live matches, enhancing experience with their friends and family without geographical constraints," said Tom McCall, founder and CEO, Mastermind, in a statement. The concept of a second screen in gaming enables increased interactivity among users. For a game such as cricket, viewers can chat with their friends, compare scores and predict multiple events, and this is what CricBet allows players to do on its platform. "That's what second screen will bring in India with the explosion of smartphones, so that while the match is happening on TV, the real action is happening on the mobile," said Manish Agarwal, chief executive officer, Nazara Technologies. CricBet has eight prediction markets during a match where users can predict the next boundary to be scored, guess the number of runs off the next over, and other possible outcomes. The game offers leader boards, levels, tournaments and a forum to interact with other fans. The company took two years to build the real-time prediction platform. "The platform's intelligent engine adapts to the ebbs and flows of a live match. Our games, led by CricBet, are designed to test fans' ability to predict what is about to happen," said Pratik Shah, CTO, Mastermind. Mastermind Games will earn its revenue from two channels â€“ advertising and in-app purchases. Agarwal said Nazara's investment philosophy is to go beyond being financial advisors and to add value as a publisher., "We are not only picking an equity stake but we will be working very closely with the team to publish their games, market them and manage communities," he said. Nazara chose to invest in Mastermind because of its team, which has domain experience, the idea and the strong technology platform, added Agarwal. While the game is available on Android, it is yet to be launched on iOS. As the firm has just launched operations, it will be bringing in new talent and one of its key hires would be an iOS developer. While the game is available for a global audience, the target market is India. "After we settle the India piece, we will look at expansion of more sports on to this platform beyond cricket and expansion of geographies," said Agarwal. CricBet had a soft launch towards the end of the T20 World Cup. "In gaming, you first do a soft launch, look at consumer behaviour, the data, the niggles in the game and then tighten it up and make it ready for launch," explained Agarwal. Founded in 2014, Mastermind Games has offices in London and Bangalore. In 2015, Mastermind acquired Matchup Cricket from Pratik Shah. Mastermind Games is Nazara Technologies' second investment this year in the mobile gaming segment. Earlier this month, it invested an undisclosed amount in another London-based mobile gaming studio, Truly Social. The investment was made along with London Venture Partners and Drussila Hollanda-GrÃ¶nberg, game lead at Finnish gaming company Supercell. These investments form part of Nazara's strategy to assist overseas gaming firms to enter the Indian market.